North Penn Little League is comprised of five leagues and ten divisions. North Penn Little League is an officially sanctioned Williamsport Little League. In addition we offer Junior League, Senior League, travel teams, American Legion Prep and Junior Leagues. Tee-Ball, Coach Pitch, Minor baseball divisions in our Little League are teaching leagues and focus on learning baseball fundamentals for boys and girls. Little League Majors, Intermediate, Junior and Senior Leagues, and American Junior Legion are competitive leagues for boys. 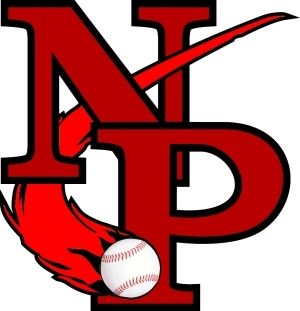 North Penn Little League (NPLL) is a non-profit baseball only organization serving players ages 4-16 in Little League and Tournament Baseball. The NPLL is an organization of volunteers. There are NO paid positions, except for Umpires. We are funded entirely by registration fees, concession profits, sponsor donations and other volunteer organized fundraising. NPLL is operated by volunteers that generously donate their time and effort to make a positive experience for all the players of the league. The Pennsylvania Nonprofit Law provides that charitable assets may not be diverted from the purposes for which they were donated, granted or devised. Therefore 100% of the funds raised are used for the sole purpose of the league and its players. The NPLL shall be to implant firmly in the youth of the communities we serve the ideals of good sportsmanship, honesty, loyalty, courage and respect for authority, so that they may be well-adjusted, stronger, and happier children and will grow to be good, decent, healthy and trustworthy citizens. To achieve this objective, the NPLL will provide a supervised program under the Rules and Regulations of Little League Baseball and North Penn Tournament Baseball. All directors, officers and members shall bear in mind that the attainment of exceptional athletic skill or the winning of games is secondary, and the molding of future citizens is of prime importance. In accordance with Section 501(c)(3) of the Internal Revenue Code, The North Penn Little League shall operate exclusively as a non-profit educational organization providing a supervised program of instructional and competitive baseball games. No part of the net earnings shall inure to the benefit of any individual. No substantial part of the activities shall be used for carrying on propaganda, or otherwise attempting to influence legislation, or to participate in or intervene in any political campaign on behalf of any candidate for public office.